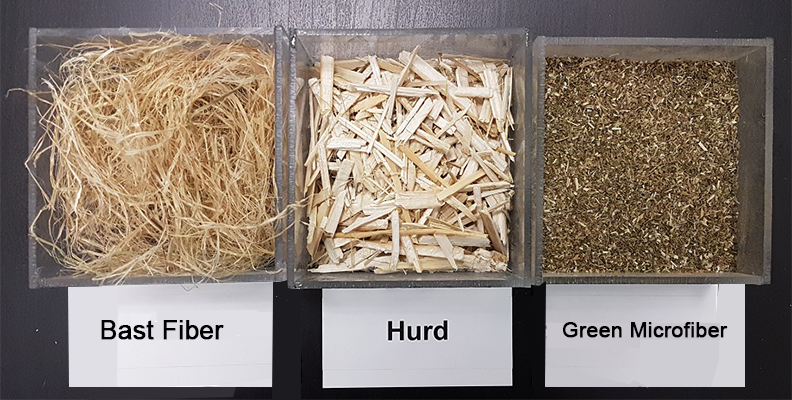 The Future of Hemp Processing Technologies – Canadian Greenfield Technologies Corp.
A surge in growth in the US hemp industry creates a new demand for specialized processing facilities. With the 2018 US Farm Bill (Agricultural Improvement Act of 2018) now in effect, the US is now permitted to grow industrial hemp (after an 81-year ban). With this new opportunity, there has been a surge in demand for specialized hemp processing facilities. While hemp seed is a commodity product, alternative and/or additional revenue streams can be achieved from the waste hemp stalk. With the correct technological infrastructure, the entire hemp field can be harvested and converted into high-value products, for sale domestically and internationally. One of the most valuable derivatives of industrial hemp is CBD. This market is projected to dwarf the CBD from the marijuana market within only a few years. Without advanced hemp processing technologies for converting the whole hemp plant into value products, there can be no industrial hemp industry. The HempTrain™ Advanced Hemp Decorticator is a high-speed kinematic hemp processing platform, bringing new technological innovation and market potential to the industrial hemp industry. HempTrain™ is capable of decorticating and processing hemp feedstock into three high value product streams; long structural bast fiber, size-specified hurd, and green microfiber, rich in CBD and bio-nutrients. HempTrain™ can convert the entire hemp plant into three high value product streams: fiber and hurd streams for value products such as long, structural fiber, cat litter, garden products, food preservation, and a clean biomass (green microfiber) stream, rich in bio-nutrients such as CBD, for various very high value applications, such as hemp-infused food and beverages as well as skin care products. This robust, fully-automatic, self-contained stationery facility operates with higher efficiency and has lower energy consumption than any conventional hammer mill and field decorticator, with almost no dust and waste production. The HempTrain™ Advanced Hemp Decorticator creates community opportunities, enabling farmers, businesses, and entrepreneurs to monetize the whole hemp plant; increasing margins and lowering production costs. HempTrain™ is the future of hemp processing.